Despite the resurgence of violence in Rakhine state, the response of the international community to the Rohingya crisis has been relatively muted. In late August, the Myanmar armed forces, the Tatmadaw, began operations aimed at expelling Rohingya Muslims into Bangladesh. Shortly after, the Arakan Rohingya Salvation Army (ARSA) insurgent group attacked an army post, killing thirty. In the ensuing violence, 3,000 Rohingya have been killed and 600,000 displaced into refugee camps in Cox’s Bazar, Bangladesh. So far, the response of the international community has mostly been limited to harsh words. Nikki Haley, the US ambassador for the UN, has called for accountability and the repatriation of refugees. 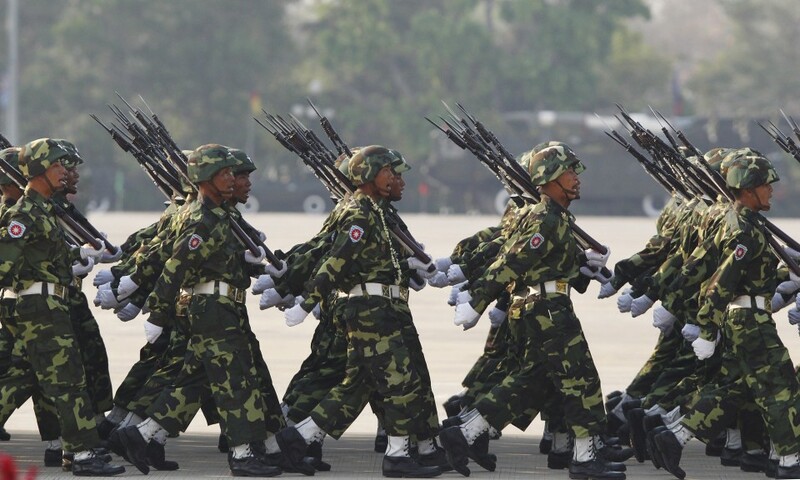 The US has suspended military cooperation with the Tatmadaw and is also reportedly considering imposing sanctions on high-ranking military officials. China has provided aid but has refrained from officially condemning the Tatmadaw’s scorched earth campaign. The UN Security Council has also thus far failed to give an official presidential statement on the issue. The limited response of the international community comes amidst the backdrop of heated geopolitical competition between China and India. Anxious about China’s rise, New Delhi wants to use Myanmar to balance against an increasingly assertive Beijing. China is keenly aware of New Delhi’s plans and seeks to retain and expand its traditional influence in the South East Asian nation. China’s considerable economic interests in Myanmar appear to be developing a strategic face. China intends to build a deep-sea port at Kyauk Pyu, the site of a special Chinese economic zone located in Rakhine state. A pipeline has already been built linking Kyauk Pyu to China’s Yunnan province. Access to Kyauk Pyuwill allow China to diversify its oil supply routes to include the Indian Ocean as well as the narrow Malacca Straight and hotly contested South China Sea. Importantly, Kyauk Pyu’s strategic location will also allow China’s navy to project power through the Bay of Bengal into the Indian Ocean. This will give Beijing access to India’s strategic backyard, thereby limiting New Delhi’s room for manoeuvre. To combat the advent of Chinese hegemony, India has made its own inroads in Myanmar after China’s apparent two-faced dealing provided it with an opening. As part of a ploy to build leverage over Naypyidaw, China has supported a variety of ethnic groups which consolidated to form the Northern Alliance. This occurred even as the People’s Liberation Army was coordinating border controls with the Tatmadaw. While China has become an important broker in the peace-process, it clearly irritated the Tatmadaw in the process. Sensing their chance, India acted to solidify ties with Myanmar. Starting in 2015, India committed to modernising Myanmar’s navy through joint patrols and a $38 million lightweight torpedo arms deal. In return, the Tatmadaw endorsed India’s strategic vision, the Act East policy, which effectively aims to balance China and serve Indian’s own regional ambitions by bolstering ties with South East Asia. India plans to use this endorsement to launch its own investments into a series of Myanmar ports to counter China’s Indian Ocean plans. Complementing this is India’s envisaged India-Myanmar-Thailand highway which will link New Delhi to ASEAN economies. While the two countries that would have the best chance of forcing a political solution are engaged in a geopolitical tug-of-war, the US has taken a backseat. Faced with more pressing issues like the North Korea crisis, the Rohingya issue is simply not a priority, as evidenced by President Trump’s failure to mention the issue during his inaugural address to the UN. Moreover, it is unlikely that the US will act drastically for fear of pushing Myanmar further towards China and destabilising Aung Sun Suu Kyi’s tenuous grip on power. Due to China and India’s geopolitical competition and US inaction, there is little prospect of the international community instituting a meaningful response. In the worst case, this could lead to a limited Myanmar-Bangladesh war should Cox’s Bazar become an insurgent base. Prolonged conflict would also favour ISIS’s recruitment efforts among the Rohingya diaspora. With approximately 800,000 Rohingya crammed into a series of camps in Cox’s Bazar, the area could become a base for insurgent groups. With no shortage of its own domestic problems, Bangladesh does not envisage the Rohingya presence as being permanent. Talks are already underway between Dhaka and Naypyidaw regarding the Rohingya’s repatriation, but it is difficult to see the Tatmadaw allowing any significant number to return. 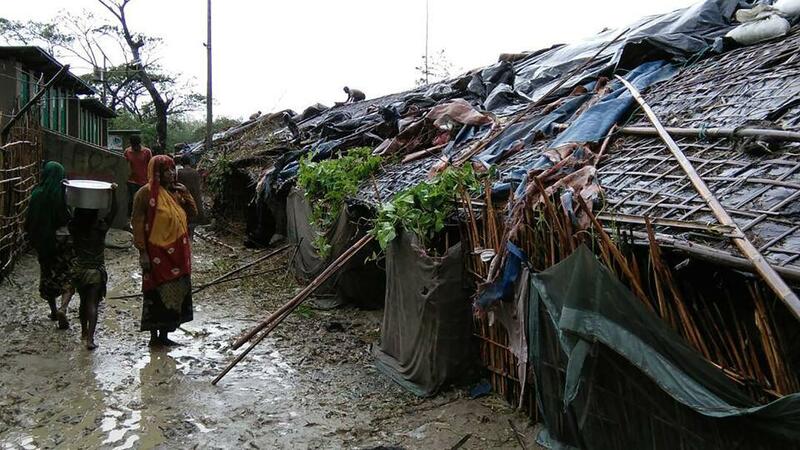 Instead, hundreds of thousands of Rohingya will languish in Cox’s Bazar for the foreseeable future. Tens of thousands of young men with limited prospects will make ripe recruitment targets for ARSA, which could use the camps as a base to launch cross-border attacks into Rakhine. With no concerted international pressure in sight, an emboldened Tatmadaw could foreseeably launch future operations against Rakhine’s remaining Rohingya. ARSA will almost certainly act to prevent such attacks, gaining new recruits in the process. Although the Bangladeshi armed forces have been relatively adept at securing the porous Bangladesh-Myanmar border from insurgent groups, several factors may affect their efforts. Powerful Bangladeshi Islamist groups such as the Hefazat-e-Islam have protested in their thousands, calling for the Rohingya to be armed. The Bangladeshi authorities may even allow ARSA to be mobilised to gain leverage if refugee repatriation talks with Naypyidaw fail. In such a scenario, a Myanmar-Bangladesh conflict becomes a possibility if the Tatmadaw acts to strike ARSA targets within Bangladesh. Further, there is every indication that international Islamists, whose presence in South East Asia is increasing, will also try to cash in on the Rohingya crisis. ISIS has ramped up its recruitment efforts among the considerable Rohingya diaspora in Malaysia while Pakistani terror group Lashkar-e-Taiba has targeted Rohingya in Bangladesh. Malaysian authorities recently arrested an Indonesian man who was planning to travel to Myanmar to carry out attacks and Egyptian terror group Hasm claimed a bomb attack on the Myanmar embassy in Cairo in early October as retaliation for the treatment of the Rohingya. Although the Rohingya in Bangladesh will be more inclined to join ARSA, recruitment efforts will likely continue to intensify among the Rohingya diaspora elsewhere and Muslims sympathetic to the Rohingya cause. 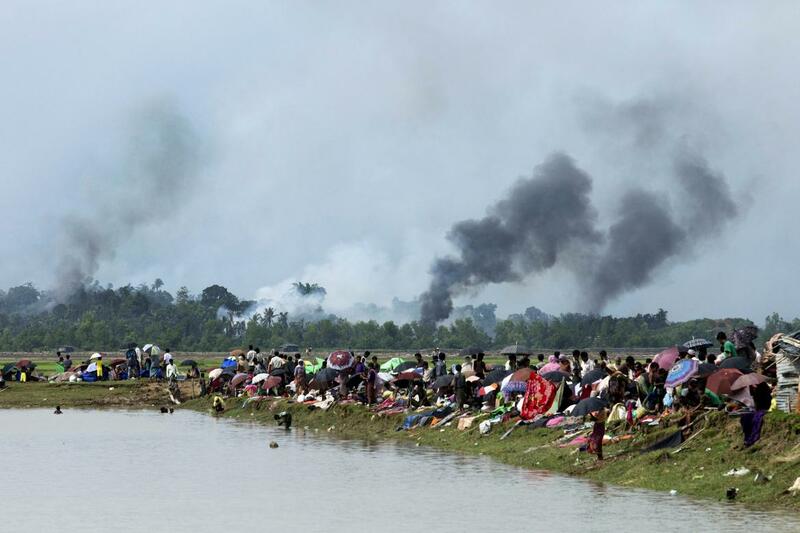 Accordingly, attacks against Myanmar and/or its overseas interests are likely. In choosing to pursue other priorities, India, China and the US have left little hope for a political solution. Absent any such resolution, an uptick in insurgent activity and terrorist recruitment as well as a conflict between Myanmar and Bangladesh all become possible.